Sketch ist von Truley Scrumptious. Das Motiv ist super schön! Insgesamt eine ganz tolle Karte! Wow! This is stunning! 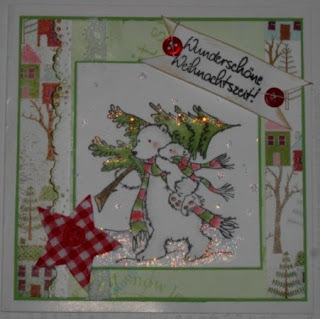 Such a beautiful image and I love the papers and all the sparkle! Thanks for joining in with the Truly Scrumptious Challenge!